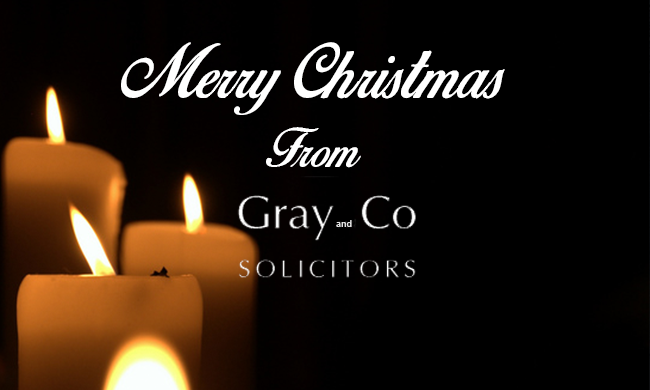 Merry Christmas from Gray & Co! Solicitors!! With Christmas just around the corner, we would like to take the opportunity to wish everyone a very merry Christmas and a happy New Year. We’ll be back with more company and industry news on our blog next year. We’d also like to take the opportunity to wish you a very safe Christmas; while the Christmas season is a fantastic time for seeing friends and family there are commonly an increased number of drink driving cases. We advise strongly against drinking any alcohol at all if you are planning to get behind the wheel; however if you find yourself in a situation where you are accused of drink driving then be sure to contact us as soon as possible on 01244 344299 for expert help and advice. Once again have a very merry Christmas and a fantastic New Year!